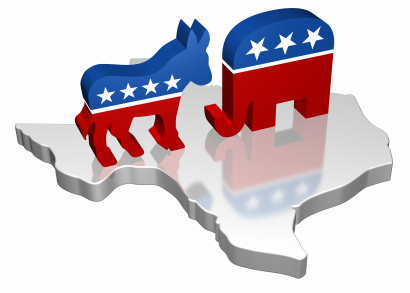 Now that the 2012 Texas Election is over, you might be wondering how many Republicans and Democrats there are in the Texas House, Texas Senate, Texas U.S. Congress, and Texas U.S. Senate. As you can see, even after the Federal Court illegally drew our redistricting maps, Texas was still able to keep a decent majority in both the Texas House and Texas Senate. There were a couple of districts that Texas Attorney General Greg Abbott will still hopefully challenge in the US Supreme Court because the Federal Court in San Antonio wrongly re-drew them to favor the Democrat. There are also a couple of districts that Texas will hopefully re-draw again after Texas Speaker of the House Joe Straus worked behind the scenes to change so that the new districts would hurt conservative State Reps who did not support him for Speaker. See the Entire Texas 2012 Statewide and County Election Results HERE at the Texas Secretary of State Elections Division Website.